Lady Gaga is coming back for her second season. According to The Hollywood Reporter, the pop star will be returning for season six of American Horror Story. 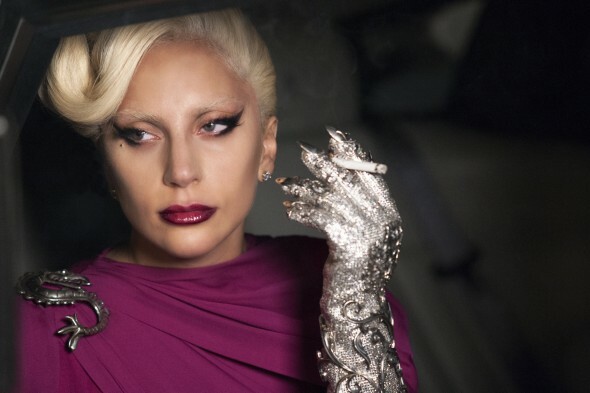 Gaga played The Countess (aka Elizabeth Johnson) on season five of the FX drama, American Horror Story: Hotel. Gaga won a Golden Globe for her performance on American Horror Story. Angela Bassett will also appear in season six. What do you think? Are you a fan of American Horror Story? Did you like Lady Gaga in the last season? American Horror Story: Season Six to Feature Slender Man? I’ve been a huge AHS fan from the start, so naturally my loyalties lie with Jessica Lange & the hope that she will return. No one can ever top her stellar performances over the past seasons. That being said, I’m not a GaGa fan, in any way, shape, or form, but I must admit she had my full attention as the Countess. I tip my hat to her own fantastic performance & look forward to seeing her next season! Kudos to Sarah Paulson as well… Superb performance! !